Adult female Pseudouroctonus maidu sp. n.. Credit: Dr. Robert Bryson Jr.
California is known for its high biological diversity. The state encompasses a wide variety of habitats, from temperate coastal scrub and cool redwood forests to high-elevation conifer forests and grasslands that are home to an equally diverse variety of plants and animals. Biologists have been intensively studying and characterizing the biodiversity of California for centuries. Recent fieldwork by researchers Warren Savary and Rob Bryson uncovered a new species of scorpion in the foothills of the Sierra Nevada in northeastern California. It is related to several species in the genus Pseudouroctonus, and is only the fourth new species of scorpion to be described from California in the past twenty years. The description is published in the open access journal ZooKeys. The lead author, Warren Savary, is a field associate of the California Academy of Sciences and has been studying the scorpion diversity of California since the 1970s. He and a collaborator described a new species endemic to the White and Inyo Mountains in eastern California in 1991. 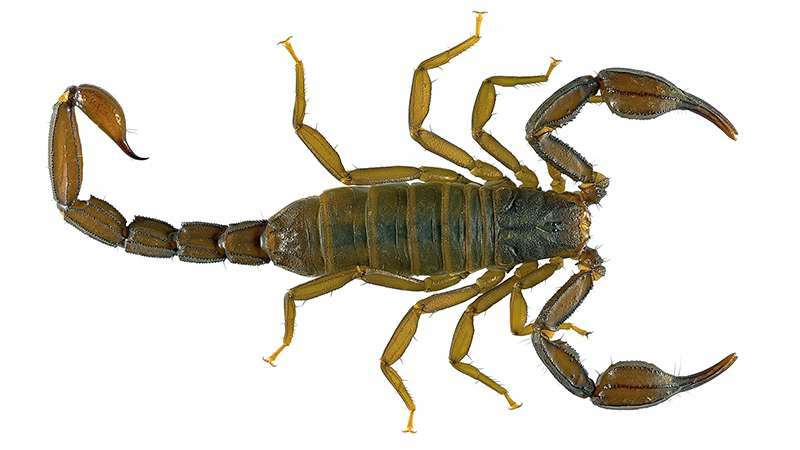 "California is home to a remarkable variety of scorpions," says Savary. "However, the more I study them, the more I realize that we've only just scratched the surface. A lot of scorpion diversity remains to be described." He and co-author Rob Bryson, a researcher at the University of Washington, have started using DNA to help better understand scorpion diversity. "Scorpions have been around for a long time—over 400 million years—and many are quite similar in general appearance," comments Bryson. "We can use DNA sequences to help us piece together how scorpions have evolved and how they are related. Despite looking similar, DNA often reveals that even assumed close relatives can be quite divergent." Savary and Bryson are working on publishing the descriptions of several other new species of scorpions from California. "2016 will be an exciting year for scorpion discoveries," they promise.